GAL knew we had to interview literary agent Monika Woods for many reasons, the first being that her Twitter handle happens to be @booksijustread – aka the stuff of GAL’s fantasies. Monika lives in Brooklyn with her husband, son, and cat. She is a literary agent for Curtis Brown Ltd and writes for Triangle House Press. GAL discusses her upcoming book, why she chose to be an agent, and what new books every GAL should read right now. Girls at Library: What are you reading right now? Monika Woods: I just finished Priestdaddy by Patricia Lockwood. I haven't decided what book I'm going to dive into next, actually. I just finished it on Sunday night, so I'm still thinking about it a lot. MW: I think it depends on genre. In terms of fiction, if I really enjoy a novel and I have one on deck that I'm pretty much sure to also then enjoy, I can read like, five books in a week, depending on how much time I have on my hands. When I'm on vacation, if I'm reading just novels, I can just go from one to the other, especially if they're all really good. But with nonfiction I tend to think about it a little bit more and feel more hesitant to dive into the next thing. MW: I have to be pretty sure that I'm going to like it to read it because I have such limited time to read for myself and for pleasure. Basically, I'll read reviews or I'll wait for it to get some sort of notoriety, or I'll have someone who I really love and trust recommend me a book. My husband is a really good barometer for me. He reads more than I do and he'll guide me sometimes to something that maybe I wouldn't have picked up without him guiding me towards it. He is the person who told me about David Foster Wallace nine years ago. I really trust when he likes something. And usually, if I was feeling hesitant about it before that, his recommendation will put me over the edge. GAL: That's so nice that you can trust him with books. MW: I know. I'm very lucky because not everyone has someone like that. Especially when you read professionally, it's easy to get just sucked into the idea of reading the things that you already know you're going to like, and maybe you're just reading everything by the same author that you love and you can kind of miss new things. GAL: Yeah. I think we all tend to do that. MW: I think that maybe 10 years ago you could have asked me that and all of my answers would be classics. In college the most contemporary thing I read was Kathy Acker and Margaret Atwood. Now I barely ever crack open something that was published more than five years ago. GAL: Does reading ever feel like a chore because it is your job to read? MW: It does when I feel obligated to read something that I wouldn't necessarily want to read. But in general, when I'm reading something—a novel or a full-length book of nonfiction—it's something that I chose pretty emphatically. So in that case it's never a chore. I've just always been a huge reader and it’s really the most constant thing of my entire life. I've gone through phases and learned and loved different things, and even with music and other kinds of things I kind of shifted and changed, but with books it's always been at the backbone of the way that I do everything else. So reading a book is never a chore. Even if I don't like a book and I feel forced to read it, I enjoy it for some reason. I love finding out why I don't like things. It's kind of fun for me to be like, "Oh, I hate this because of this." GAL: That's so interesting. Why? GAL: What led you to become a literary agent? Why did you want to become one? GAL: Of your current clients, is anyone coming out with a book soon that you're really excited about? MW: Yes. I do have a couple clients coming out with books this spring, which I guess is the next season of publishing seasons. In May, I have a novel coming out from this writer Julia Dixon Evans. It's called How to Set Yourself on Fire. I'm really excited about that. It's coming out with Dzanc Books. It's a really cool mix of romance with disgust, like grossness. If you liked Eileen by Ottessa Moshfegh, I think you would really like How to Set Yourself on Fire. It also has this nostalgia to it as well as this kind of hyper-obsessive cataloging. The main character's got kind of an obsessive tendency to her, which I find\ really compelling. And then in June, I have two essay collections from two authors. Alice Bolin is publishing Dead Girls, which is an essay collection about the idea that men have been allowed to tell stories through women's bodies, but women haven't had the agency to tell their own. It’s mixed with personal memoir as well as this really amazing literary criticism. It's kind of Joan Didion-y in that way. And then Chelsea Hodson is coming out with an essay collection as well. It's called Tonight I'm Someone Else and it's an experimental literary personal essay collection about what it means to be a woman and have a woman's body and move through the world as a woman. It's got this amazing lens. It's very artistic and it's very unusual because it plays with form in a way that I don't know if most essay collections consciously do. GAL: So, you're a writer as well as an agent. Do you have any projects coming up? Or are you releasing anything soon? MW: I run this website called Triangle House Review and we publish a magazine every month. It's really thrilling to put something out into the world instead of being part of a shadowy team that puts things out into world. With Triangle House I get to actually put stuff out in the world. 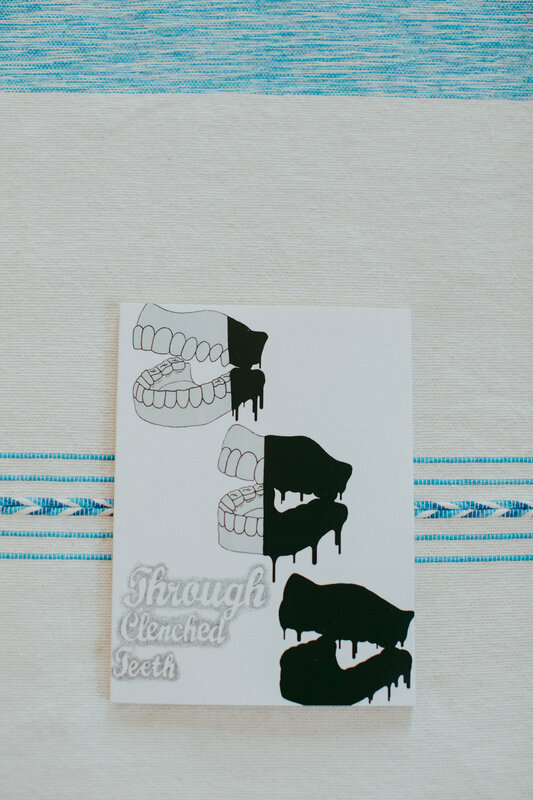 We also published an anthology called Through Clenched Teeth that the proceeds go to Planned Parenthood, so you can buy that on the website. It’s an anthology of lyric writing about women's anger in the past year. I am fascinated by anger and the way that people interpret it and how it scares them. Especially how people can feel righteous in their own anger but they don't like to see other people's. GAL: It's a very hard thing for most people to take and try to understand. Oh, she's just an angry woman, you know? MW: Yeah. It's almost like having the Scarlet A on you. GAL: What was the name of the first book you feel in love with that turned you into a lifelong reader? three when I learned to read. I may have been four. My parents were big readers as well. Both my mom and my dad have very different tastes but they both also really influenced me. My dad would take me to the library every week and he let me take out whatever I want. My mom would always be trying to subtly influence my choices. [Laughs] The first book I read that I really remember was Green Eggs and Ham. The second book that I remember was Charlotte's Web. Charlotte's Web was probably the first book that really made me love reading. I just absolutely adored it. And then, after that, I started reading Laura Ingalls Wilder, so I was reading the Laura Ingalls Wilder books at a really impressionable age and I just loved them. I wanted to travel back in time and be a prairie girl. GAL: [Laughs] Me too. She certainly gives enough details to build a log cabin if you desire to try it one day. Where do you read in your house? MW: I usually read in bed or on the couch. It depends because my kid is three, and if you walk past his room, he wakes up. Depends on where I am while he's napping. If he's napping and I'm in the back of the house, I stay there and I settle in on the bed, but if he's napping and I'm in the front of the house, I stay in the front of the house. GAL: Do you have storytime with your son? Does he like books? MW: Oh yeah, basically every moment of the day. One of the things that we do is we read over breakfast. He'll be like, "Read! Read!" and we'll pick out a book. Today we were reading this book called Brooklyn Baby, it's super-corny but he loves it. GAL: Oh. He loves it. That's so sweet. MW: He does, yeah. And we read at night. He has certain books that he likes to be his nighttime books and they honestly trigger him to start yawning. There's a progression of three books on rotation every night. Right now, he's reading these rhyming books called Topsy Turvy Animals. 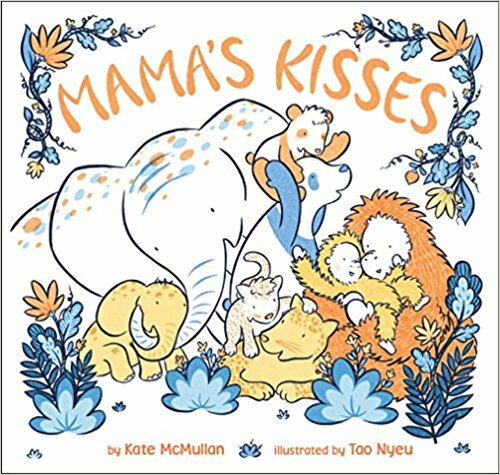 Mama's Kisses is another one that he really loves. That one's my favorite, obviously! Then we go into a Daniel Tiger book about bedtime. And he has this little Daniel Tiger stuffed animal that when you press it, it sings a goodnight song. So, it gets to this point in the song where he looks at me and he presses the button and it sings a song. By the last book, he's yawning, he's really tired. Yeah. The third book is called Good Night in Polish. It's basically like Goodnight Moon in Polish. GAL: You mentioned that you're working on a book about Greenpoint. MW: Yeah, I'm working on a novel about Greenpoint. I've been working on it for a really, really long time and I'm making pretty good progress on it. It's very Greenpoint-centric. I'm hoping that Greenpoint almost becomes its own character. I really love books that have a very strong sense of place. And New York is one of my favorite places to read about. My hope is to be as evocative about my Greenpoint that I experienced as Jonathan Lethem was in Motherless Brooklyn about Carroll Gardens. My hope is to really bring the setting to life. I don't know if I'll achieve that but that's the ambition. It's kind of a cast of characters who all intersect with each other and they don't really think of themselves as close to each other, but their lives are very intertwined. MW: I have a lot of favorite authors. I think that every writer and every reader has a writer who they read that first made them think, "I didn't know you could do that.” The first time I felt that way was when I read Vladimir Nabokov. I was shocked at what he was doing and had no idea you could do things like that in writing. I used to buy all of my books at a thrift store so ended up reading him late, in my last years of college. I would find amazing hardcovers at that thrift store for like 99 cents– Hemingway, Herman Hesse, Toni Morrisson, and Gertrude Stein. I would not go to the bookstore because I couldn’t afford it. That’s why I didn’t read anything current. So, I found this old, hardcover of King, Queen, Knave by Nabokov, one of his lesser-known books. It was just brilliant. It’s really interesting to ask people that question– who’s your favorite author – but I also want to know which author made you feel a thrill of jealousy. Who made you feel a conscious admiration for the first time? Not just of the story that they write. I don’t mean what they achieved, in terms of plot, and narrative, and voice and character, but in terms of sentence-level brilliance. Nabokov’s ability to take experimental wordplays and bring them into something more narrative and mainstream captivated me. GAL: We have a friend who has a Sanity Shelf, dedicated to books she returns to, again and again, to reread for pleasure, knowledge and solace. What books would be on your sanity shelf? MW: Pride and Prejudice. I don’t reread books very much but I always want to be reading Pride and Prejudice again. I’ve probably read it 20 times– an embarrassing amount of times. The first time I read it, I was actually abroad in Poland for the summer. I had only brought that, and Catch 22. Those were the two books I had to read for school. I read it 10 times in that one summer, because I’d loved it so much, and it was the only English book that I had with me. I fell in love with it immediately. I’m a big Jane Austen fan. I guess maybe the Harry Potter books. Those make me feel really engrossed and happy. They also really take me outside of myself, which is something I really, really appreciate about those books. I also love the characters so much. My cat is named Hermione. MW: I am a pretty voracious, and wide, non-fiction reader. I love journalism, personal essays, and memoirs. I’m not really picky when it comes to my non-fiction taste. One of my favorite forms of non-fiction to read is the long-form reported journalism. There was an amazing piece published in Esquire about the family who, basically, invented Oxycontin. It was full of depth and I was fully engrossed. Learning something from non-fiction is one of my favorite things to do. My whole thing with non-fiction is, I want to read the book that that writer needs to write in that moment, and feels obsessed and engrossed by, because otherwise, why am I reading it? I want the writer to feel that they couldn’t do anything else. Those are really successful non-fiction pieces. GAL: If you could go back in time and give your younger self a few pieces of career-related advice, what would you tell her? MW: There are different stages of my young self that I would talk to. My first self that I would talk to, would be my 20-year old self right before I graduated. And, I would tell myself to take myself more seriously, and say something like, “You have goals, and you have ambition, and to not disparage that, or not to be self-deprecating about that, and to pursue a goal.” I think that I’m a little bit more of a slow bloomer, in terms of publishing. I didn’t get my first job in publishing until I was 25. A lot of people in publishing get their first job when they’re fresh out of school, or, at 19 they get an internship somewhere that ends up hiring them soon as they graduate. It took me a long time to pursue my goal. MW: I think that there’s this phenomenon where, as someone who was an assistant, you have to be good at a certain skill set. It’s a completely different thing to be an assistant than to be a literary agent. To become a good literary agent, you have to stop being a good assistant. Because, those skills are not the same. I think I probably would have told myself to be a worse assistant, sooner. But, I’m very happy with the way that my career’s turning out. I have my dream job. I’m exactly where I want to be. So, I wouldn’t interrupt my process too much, because I’m very, very happy. MW: I love thinking about and tweaking the title of my memoir. Maybe it’s Eating Popcorn Out of the Bowl While I’m Drinking Something. Actually, I think it would probably be I’m Hungry. GAL: Tell us about your Twitter handle. MW: My Twitter handle @booksijustread is hooked into a tumblr I had started years and years ago, which was also called “Books I Just Read.” It was essentially my book review blog. I wrote a paragraph about every book that I read. But now I’m so busy that I can’t work on it anymore. The idea to use it as my Twitter handle was that it would be brand-consistent with my blog. I’ve been on Twitter for eight years and can’t imagine changing it. It’s probably one of the best ways that I have been able to build my career. I think a lot of people didn’t take Twitter seriously early on. My husband is a software developer and told me that it was worth doing. It helped him, pretty much immediately, with his career, the things that he was doing, and the way that he was able to connect with people. Since it worked for him, I jumped on the bandwagon. GAL: Could you, please, name three books that you recommend reading, and the reasons for your choices? GAL: Let’s include that as a caveat. Our audience is 90 percent women who are generally very interested in feminist titles, very interested in contemporary fiction, and in plot-driven books. Does that give you a jumping off point? MW: Yeah. So, if you want to challenge your idea of what a novel can be, and you want to read something contemporary and feminist, by woman, read How Should A Person Be by Sheila Heti. GAL: That’s a great idea. MW: I think that’s a really good one that will knock you off your feet, in terms of context, because it forces you to question if it’s fiction or not. Some people have a hard time grappling with that. She was one of those writers that made me think, “Well, I didn’t know you could do that in that way.” Which at first made me a little bit indignant but then I warmed to it. If you’re trying to challenge yourself, to do something very different than what you normally do, read Sheila Heti. The Parking Lot Attendant is another new one you should try. It’s a short, powerful book that has incredible thrust to it. The writer has an uncanny ability to put charisma on the page, which fascinated me because charisma is very indefinable. I was very taken by it. GAL: Do you have any guilty pleasure reads? MW: I don’t believe in guilty pleasures. I don’t believe that you should feel guilty for something you enjoy. I read things that I love. I love The Girl with the Dragon Tattoo and The Hunger Games. I was a big fantasy reader as a kid. I loved Lord of the Rings. I also loved Ender’s Game. I love Science Fiction, if it’s done in a way that caters to my own taste. Again, it’s all based on your taste, right? So, I don’t have any guilty pleasures, cause, I believe in enjoying things a little bit more purely than that, and not second-guessing yourself. I do read things that people think are guilty pleasures, but that I just don’t take them that way. Head to Monika's website Triangle House.